The Vedic system explains the structure of human subjectivity through the idea that human experience is based on various properties and levels of the mind with separate abilities and roles to play in the human makeup, namely, Manas, Buddhi, Ahamkāra, and the Citta that constitutes the underlying driving force. These are regarded as linked to various independent vehicles for conscious experience that exist apart from the gross physical body and which are open to the cognition and action of yogis whose abilities have developed through prolonged practice of deep meditation. Subtle bodies go under the general classification of Sukṣma and Kāraṇa Śariras. The Manomaya and Vijñānamaya Kośa are generally translated as “subtle” (Sukṣma), while the Anandmay kosha is considered “causal” (Kāraṇa). The paper will discuss that these bodies function on a kind of information different from that of gross senses – physical, digital/entropy information – and point to a different kind of reality prevailing at subtle levels of experience. In particular, the information types can be classified through the approach of Śikṣa, which states that there are four levels of verbal expression, physical through sound, mental, ideational, and transcendental. These correspond to digital information; experience information; integrated, higher-order experience information; and totality information. 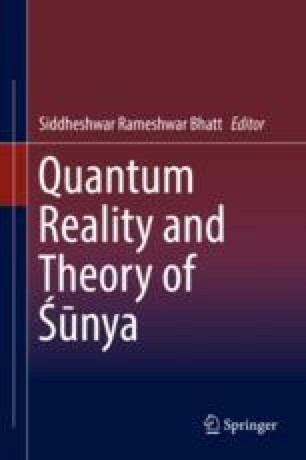 Only quantum reality and its extensions can model these, and only yoga, in the fullest sense of the word as the eight-limbed practice of Aṣtāṅgayoga as propounded by Maharishi Patanjali, or its equivalents such as Islam’s Chist, can provide subjective confirmation of the existence of these states.